Ultrasonic auto insole making machine adopt wireless seam technology with high efficiency and artistic, less investment and more return. 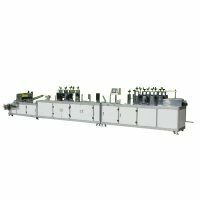 Insole forming machine with high quality, auto impressing, good effect. 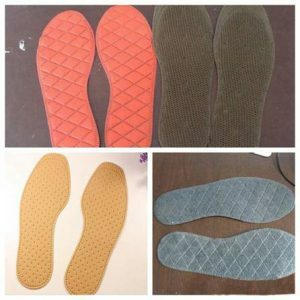 The insole is breath ability, can add medicine powder, perfume into insole by the request of customer to make insole become health care, environmental protection and comfortable. Widely apply to hotel, housing, footwear industry. 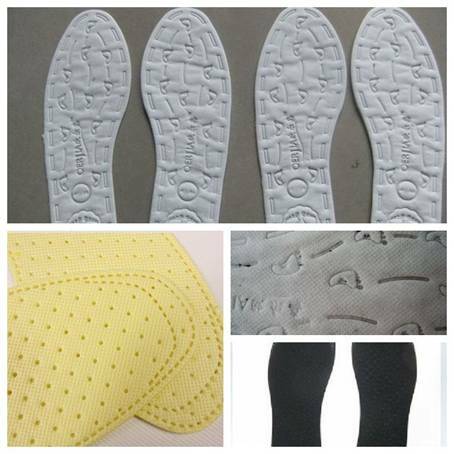 Output can reach 20000 for the production of non-woven disposable insole. 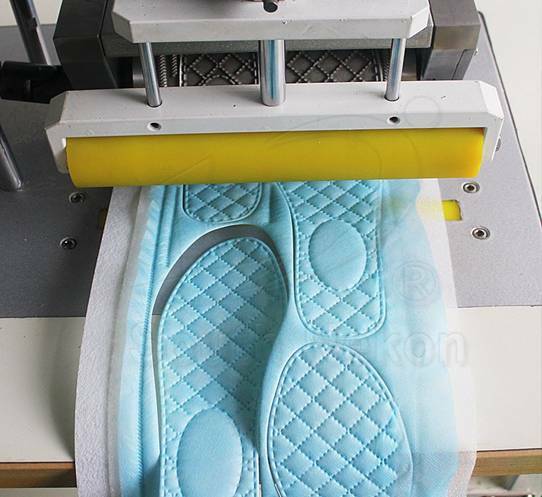 Ultrasonic auto insole making machine adopt mirror image design. Can produce a pair of insole in once time. No waste of material and auto pressing, improve the efficiency. Adopt magnetic powder clutch tension to control the transmission which can make the insole more artificial and save more material . 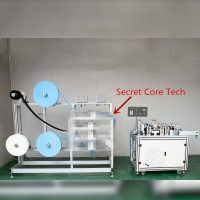 Uses ultrasonic technology for easier production: no need thread, side covers etc, only need to load the materials in layers. Emboss pattern, insole size can be changed easily by changing the cutting roller. In this way, the disposable insole supplier can act fast to the markets’ requirements. The finished sample is more beautiful, comfortable and with higher breath ability, but cheaper price. Auto sealing , cutting and welding. Can produce different size insole by different mould. The mould is made in special steel alloy and dealt by special heat treatment, which is wearable and has long life. No need to preheat, can work continuously and have high speed. 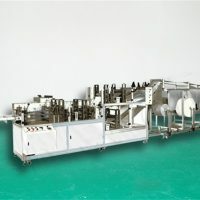 Have large production, can reach 20000 pair a day. 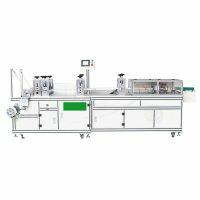 Feeding frame adopts top grade aluminum and plated components make the machine artistic, firm and antirust. 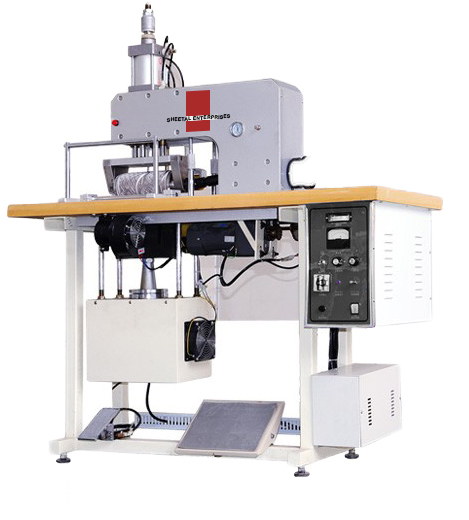 Adopt magnetic powder clutch tension device to ensure stable work, lower rejection rate and more artistic.